Growing up in Santa Fe, New Mexico, I couldn't help but be familiar with the famous Loretto Chapel. I recall at least one school field trip to see it, plus various visits to show it off to out-of-town relatives. Of course, kids don't always appreciate fascinating historical details or beautiful architecture the way adults do, so I can't say I was all that impressed with Loretto Chapel. 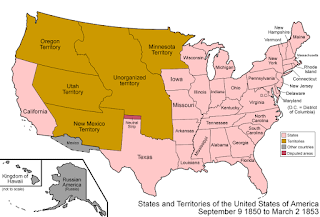 That is, however, until I grew up and moved away from New Mexico. Funny how ones perspective changes as we grow wiser. Perhaps some of you aren't familiar with the history and the mystery surrounding this beautiful chapel. Let me fill you in on the details. 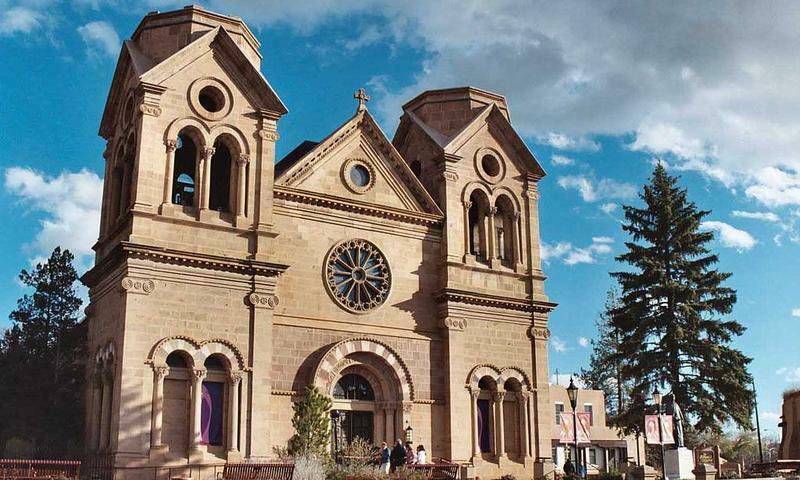 In 1850, the first Catholic Bishop of the newly established New Mexico Territory, Bishop Jean-Baptiste Lamy, recognized the need to provide education to young girls in Santa Fe. Mexico at that time, like many cultures around the world, offered education to boys but not girls. Lamy began writing letters to priests, brothers, and nuns in the eastern states asking for help to establish a school. In one of his letters he wrote, "I have six thousand Catholics and three hundred Americans." The Sisters of Loretto, a group of nuns founded in 1812 in Kentucky whose mission was to educate poor children on the frontier, eventually answered the call. Seven sisters were sent to open the Loretto Academy. 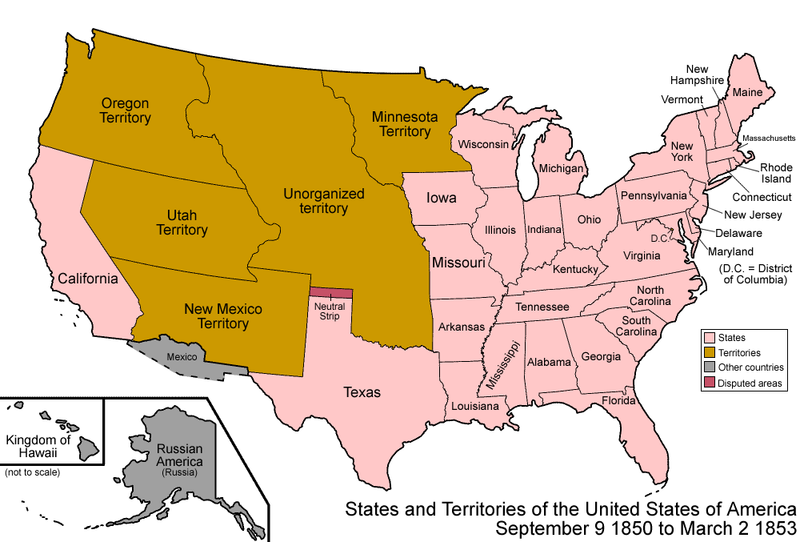 Their arduous journey took them through St. Louis then up the river to Independence, Missouri. Unfortunately, several of the faithful women contracted cholera, and the Mother Superior died. Another nun was too ill to continue the journey and returned to Kentucky. The remaining sisters arrived in Santa Fe in 1852, but before their mission could truly begin, they faced yet another obstacle: the language. They would need to learn to speak Spanish before any mission or educational work could begin. 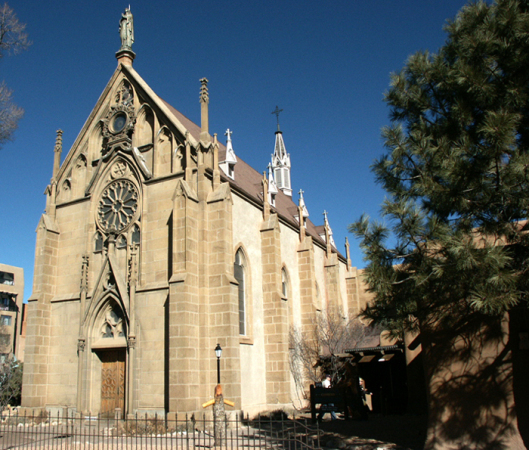 Architect Antoine Mouly and his son Projectus Mouly from Paris, France began work on what is known today as the Loretto Chapel. 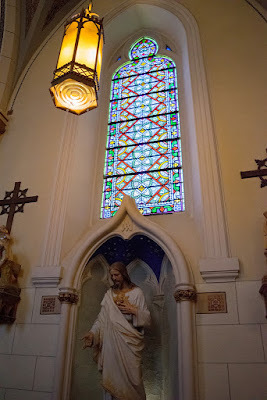 Undoubtedly influenced by the French clergy in Santa Fe, the Gothic Revival-style chapel was patterned after King Louis IX's Sainte-Chapelle in Paris, a striking contrast to the adobe churches already in the area. 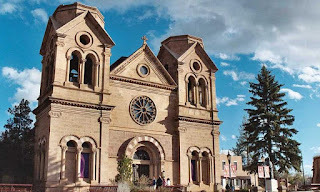 Stone for the chapel was quarried from around Santa Fe. The sandstone for the walls and the porous volcanic stone used for the ceiling were hauled to town by wagon. 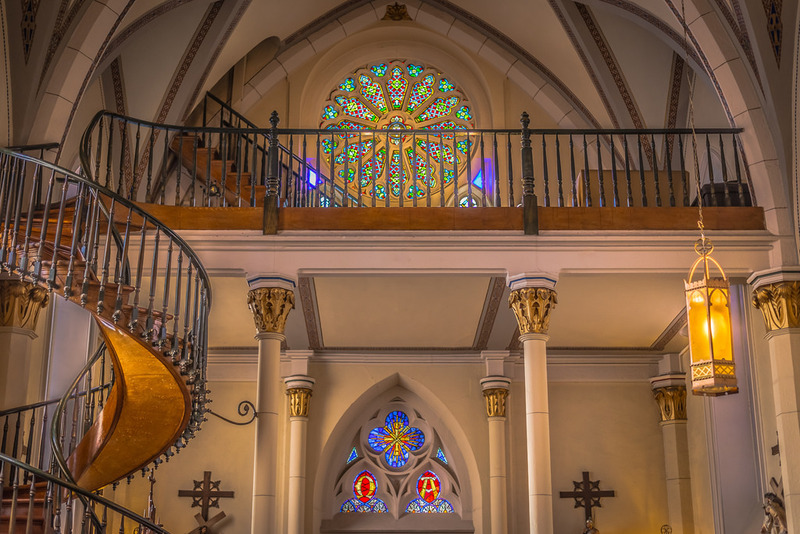 The beautiful stained glass was purchased in 1876 from the DuBois Studio in Paris. It was first sent from Paris to New Orleans by ship, then by paddle boat to St. Louis. From there it was loaded into a covered wagon and carefully transported over the Old Santa Fe Trail to its permanent home in the chapel. The chapel took five years to complete. Unfortunately, Projectus Mouly, who'd taken over the project, passed away before a staircase to the choir loft could be designed. Due to the height of the loft (twenty-two feet high) and the small space of the chapel, a standard staircase would not work. Various builders were consulted, but none came up with a solution that satisfied the sisters. With no other options, they took the matter to St. Joseph, Patron Saint of Carpenters. What happened next is a fascinating story and legend. On the ninth and final day of the sisters' prayers, a stranger arrived with a donkey and a toolbox. The sisters explained their dilemma, and when he confirmed he could build what they needed, they took it as an answer to their prayers. The stranger set to work using simple tools and wood that is not native to the Southwest. Months later, the elegant circular staircase was completed, and the carpenter disappeared without pay or thanks. After searching for the man (an ad even ran in the local newspaper) and finding no trace of him, some concluded that he was St. Joseph himself, having come in answer to the sisters' prayers. The spiral staircase is truly a work of art. Unlike other staircases, it is not supported by a newel or central pole. No nails were used in its construction. It has two complete 360 degree turns, and the entire weight of the staircase rests on the bottom stair. The banisters were added about ten years later due to the difficulty of climbing the tall, tapered stairs with no railing. The two small brackets that can be seen on the outside connecting the stairs to the wall and pillar were added in the mid 20th century in order to provide more support and protect the staircase from negative effects due to vibrations from passing cars and trucks. The underside of the stairs were originally open, but was filled in with a horse hair and lime mixture painted to look like wood. 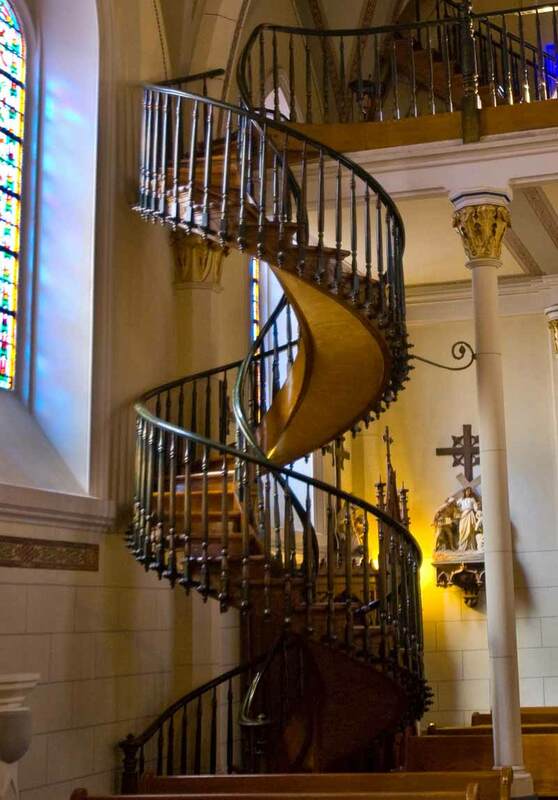 Because of its magnificent structure as well as the mystery surrounding its builder, it is now referred to as the Miraculous Staircase. The Loretto Academy closed in 1968, and the property was put up for sale. 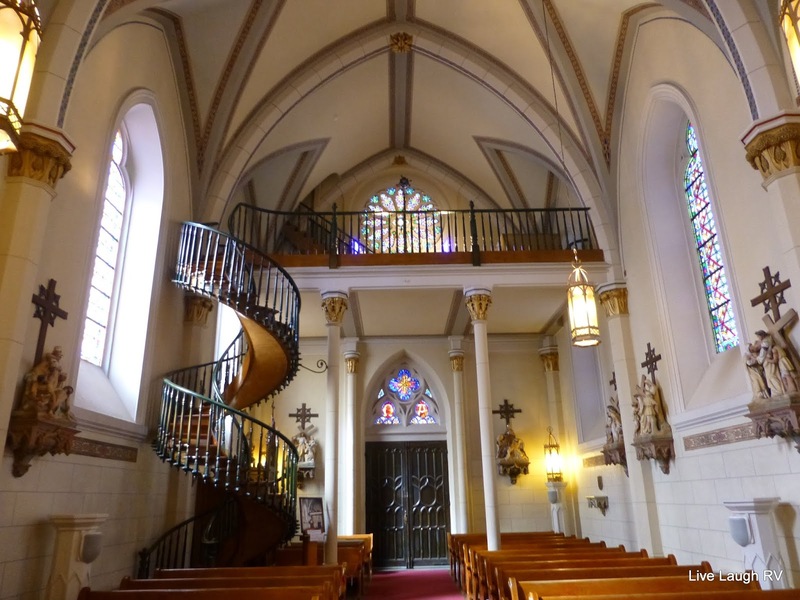 Today, Loretto Chapel is a private museum open to visitors as well as small weddings. 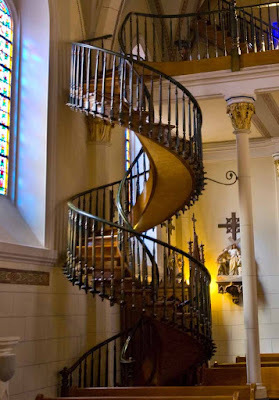 If you're ever in Santa Fe, I encourage you to see Loretto Chapel and the Miraculous Staircase. You won't be sorry! Have you been to Loretto Chapel? I'd love to hear about your visit! But even if you haven't seen it in person, what do you think about mysterious builder? Michelle Shocklee is the award-winning author of The Planter's Daughter and The Widow of Rose Hill, historical sagas set on a Texas cotton plantation before and after the Civil War. 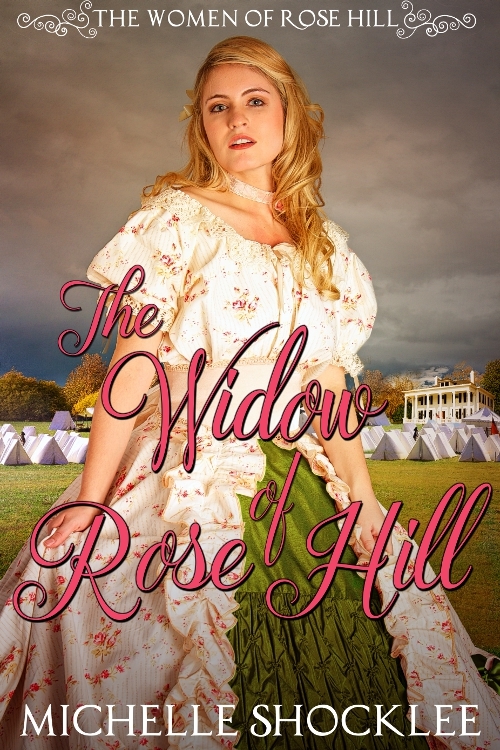 Her historical novella set in the New Mexico Territory is included in The Mail-Order Brides Collection. Michelle and her husband of 31 years make their home in Tennessee. 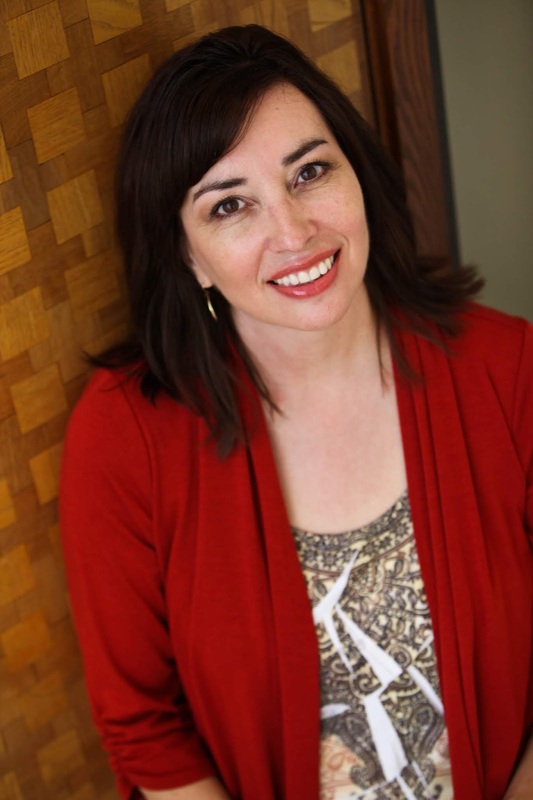 Connect with her at www.MichelleShocklee.com. What a beautiful chapel! And I think I've heard that story about the mysterious builder before! Thanks for posting! Love this chapel! We go there every time we are in town and are still in awe each time.